Tramadol is an oral prescription medication. It is mainly prescribed by doctors to help relieve ongoing moderate to chronic severe pain. Its narcotic-like pain reliever property is used as treatment by adults in treating moderate to severe pain. 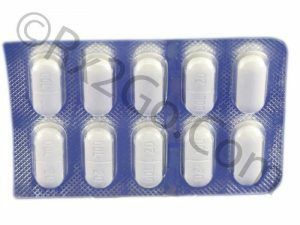 You can easily buy tramadol 100mg here without the hassles. Manufacturer: Hab Brand Name: Ultram Average Delivery Time: 10 to 14 days express shipping - or 3 to 4 weeks for regular shipping. 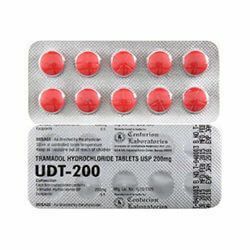 Tramadol is the active ingredient found in Ultram. It works similarly to opioid (narcotic) analgesics. It belongs to the group of drug known as an opioid agonist. It works by changing the way your brain senses pain. It works the same way as the endorphins in your body. It binds with the receptor then decreases the pain messages that your body sends to the brain. Tramadol is available as an immediate-release and extended–release tablet. The extended form is released into the body slowly and is used as a treatment for moderate to severe chronic pain round the clock. The immediate-release is released into the body right away. Take Tramadol orally with water. You can take this drug with or without a meal. If you have nausea, take it with food. Your dose is based on your condition and the severity of your condition. Take this medication exactly as directed. Do not take more than what is prescribed to you by your physician. The recommended dose in treating moderate to severe chronic pain using the immediate-release is 50 mg to 100 mg every 4 to 6 hours or as needed with a maximum dose of 400 mg a day. For patients older than 75 years of age, the maximum dose should not exceed 300mg a day. Seek medical attention right away if you will experience any of the serious side effects mentioned. Misuse of this medication may lead to addiction, overdose or death. Take this medication exactly as directed to help you avoid these problems. Tramadol can worsen your seizure if you will take it with other medications such as medications for mental disorders and other opioids. Do not take this drug if you are allergic to opioids. Your risk from having side effects may increase if you will take this drug with alcohol. People with seizures, mental health problems, addiction problems, and stomach and kidney problems must use this drug with caution. Buy Celecoxib for arthritis, spondylitis and management of acute pain. 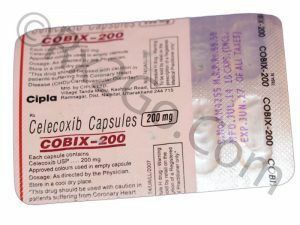 Celecoxib is the generic of Celebrex. 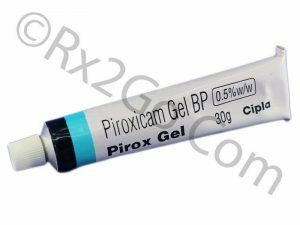 Buy Piroxicam Gel Online to be used to relieve local pain and inflammation caused by a variety of muscle, joint, tendon and ligament conditions or injuries. Piroxicam is the active ingredients found in Feldene Gel. Buy Piroxicam Online to be used for the treatment of rheumatoid arthritis and osteoarthritis. Piroxicam is the active ingredients found in Feldene.